Okay okay, I know you probably ARE breathing! But when you feel stressed or anxious your body flips into the fight/flight mode, and part of this is a change in the breath you take as it becomes very shallow. To counteract this, focusing on your breathing for a few minutes can be amazingly beneficial as it triggers the rest/digest response, which is the polar opposite of fight/flight. ​ The rest/digest response will automatically calm down the body, reducing your heart rate, relaxing your muscles and other physical responses. Here are 5 S﻿﻿i﻿﻿mple Breathing Exercises for you to try. Maybe you feel stressed, or overwhelmed, or angry, or anxious. Maybe you feel confused or unsure. Whatever you feel, writing will help. I'm not a spiritual person, and when I was younger I thought meditation was hippy claptrap. I know better now, and I know about how beneficial it can be. Headspace ​is a great little app that's perfect for both beginners and advances users. It features guided meditations on things you want to focus on, like sleep or anxiety, and you can try it for 10 days free. Calm​ is available on all platforms, and is an amazing meditation tool. It's not a free app, but the old saying 'you get what you pay for' is certainly true. With both guided and unguided meditations and meditation programs to help with sleep, stress, anxiety, focus etc it's well worth a look. ​'The 5 minute meditation that changed my life' by Sarah Petruno takes you through an extremely simple meditation which eases anxiety and increases relaxation. Try it! 5 minutes is the perfect amount of time to practice this yoga pose. Take a look at 'Legs up the wall' from Adriene​. She says 'This posture improves circulation and can provide instant relief for the lower back, legs and feet. Relieve tension, kick your feet up and deepen your breath. 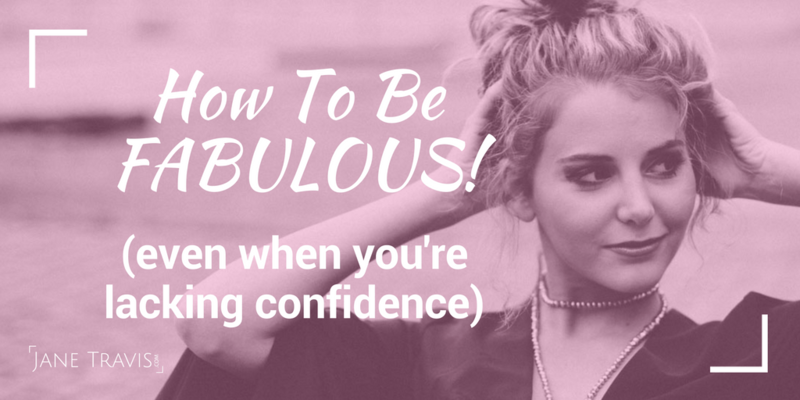 This has a massive impact, especially if you're tired and flagging. It'll make you feel awake, revived, clean and fresh. Just a few minutes of time outside makes a real difference, and if you add some deep breathing into the mix, you have a double whammy. If your energy's flagging, change up your tunes. Take a read of The Emotional Power of Music, ​and put together a playlist for all occasions. Turn up the volume and dance like a mad thing!​ Not only is it fun, it'll give you energy. YMCA, anyone? I just LOVE a good hug! But hugging is more that just a nice thing to do - a 12 second hug makes you feel connected, and also there is evidence to suggest it can ​stop you getting sick. So go for it! 5 minutes is just long enough for you to do a little planning - a dinner party, an outfit, a weekend away. Close your eyes and allow your breathing to settle. Using all your senses, fill in the picture - what can you see, hear, smell, feel, taste. Then, whenever you feel anxious or stressed, you have a beautiful, safe place to visit. ​'How dogs help depression' from Dogs For Depres﻿sion (which has the most apt tagline - rescue a dog...rescue yourself) explains why dogs are so great for helping soothe emotional distress. 'The Health benefits of Dogs and Cats' from HelpGuide.org talks through the many benefits of animal ownership, and contact with animals. So pamper that pet, and pamper yourself! 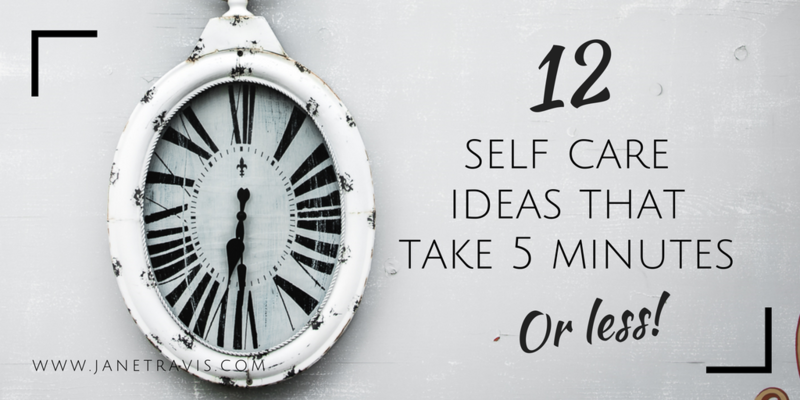 ​So there you have it, 12 self care ideas that take 5 minutes or less. 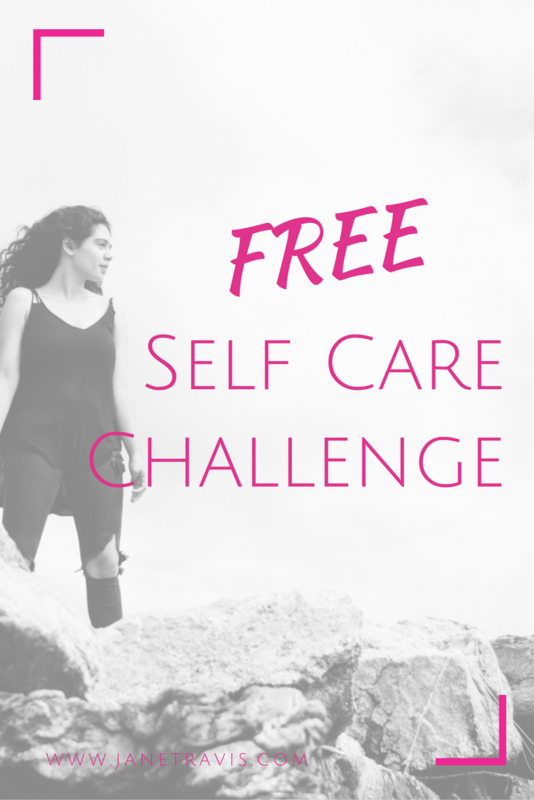 What 5 minute self care ideas do you have? Share them below in comments​.